Calories are the basic unit of energy within food. When you eat, your body converts calories into energy and uses what it can and stores the rest in the form of fat. 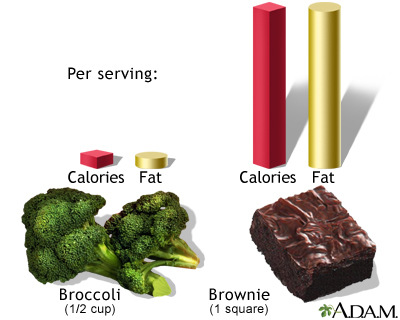 A calorie is a calorie, whether it comes from a brownie or a serving of raw broccoli. The difference between them is the number of calories, nutrients, fat, and other ingredients in a typical serving.